HandmadeMN Giveaway ~ Yes Sir, Yes Sir! This week's giveaway is from Ada of Yes Sir, Yes Sir! and is giving away these pretty green mitten. Ada is giving away these pretty sage green mittens with a rippling cable design. She knit the mittens from worsted weight 100% wool yarn. 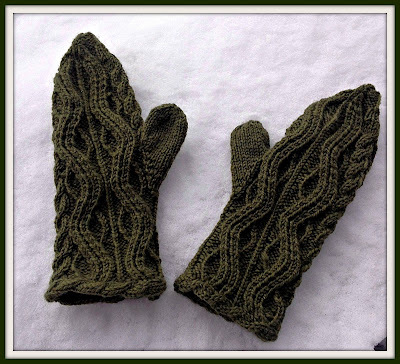 The mittens are lightweight and will fit a medium female hand. Ada suggests that you use them as liners for leather chopper mittens or to wear them on their own during cool spring and autumn days. The mittens are each 10 inches tall, with a 7 inch circumference when laid flat and are very stretchy. Thumbs are 2.5 inches tall. 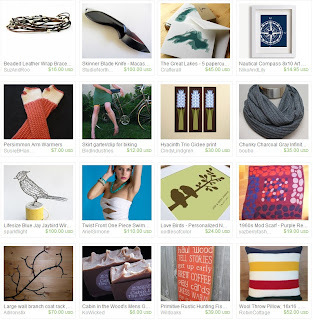 Visit Yes Sir, Yes Sir!, pick your favorite item and leave a comment on this post about it. (Scroll to bottom of post and click on Comments) Please make sure you include your email address so we have a way to contact the winner! 7. Become a Facebook Fan of Yes Sir, Yes Sir!. Comment back here with your Facebook name. Existing fans just leave your Facebook name here. 8. Follow Yes Sir, Yes Sir! on Twitter. Comment back here with your Twitter link. Existing followers just leave your Twitter link here. 9. Follow Ada's blog. Leave a comment here letting us know you are a follower. If you are already a follower, leave a comment anyway, as each comment is an entry. 10. Contest ends Saturday, April 13th, at 12:00 noon Central. One winner will be chosen by Random.org. 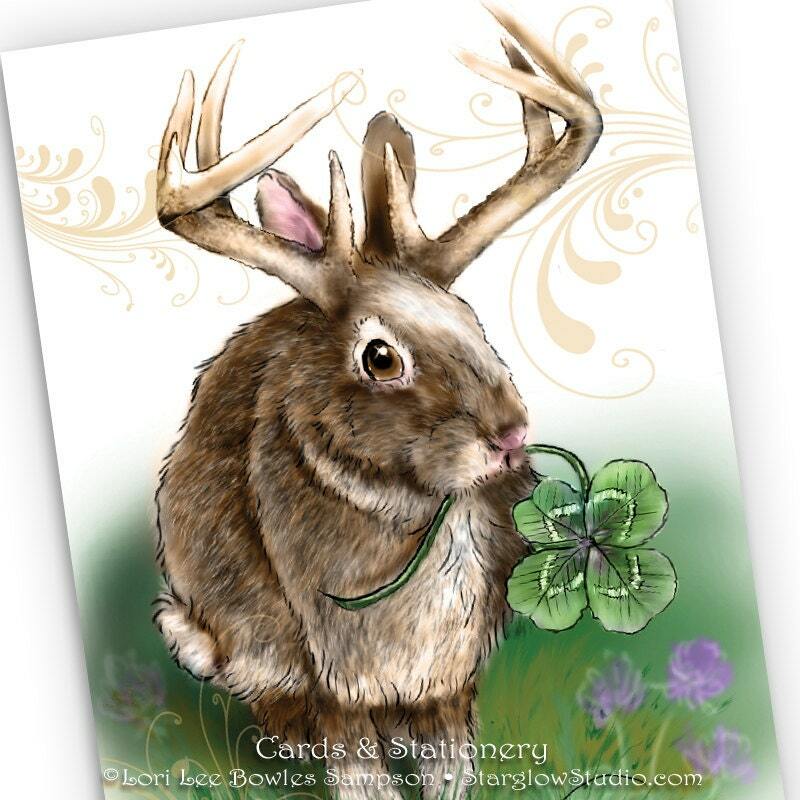 Easter is right around the corner and soon Peter Cottontail will be hopping down the bunny trail. Check out these hopping good handmade items by our own Minnesotans. 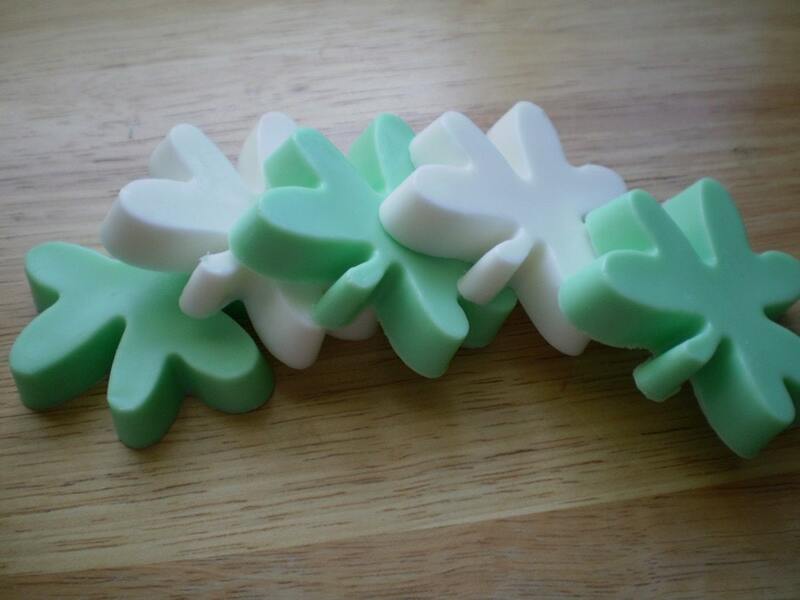 This week's giveaway is from Tanya of Epiphanies Afield. She is giving away this lovely giclee print of an original watercolor. 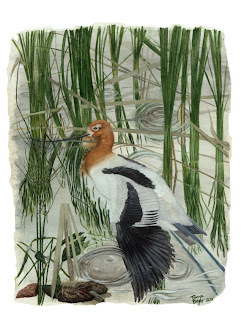 Enter to win this unframed giclee print made from an original watercolor titled 'Adult Avocet in the Secrecy of Rain.' Tanya painted this beauty on a streamside in eastern Minnesota a dozen years ago. Now it's reproduced on Canson En-tout-cas # 130 fine art paper, and mounted on foam core for shipping and/or framing. The avocet is a migratory bird found mainly breeding in the central plains of North America. Old-time settlers sometimes called it the blue-shanks for its blue legs. The piece in its entirety measures 11 x 8.5" (27.94 x 21.59 cm) with more white space around the image than shown above (see listing for more views). Contest ends Saturday, April 6th, at 12:00 noon Central. One winner will be chosen by Random.org. Please leave each in a separate comment, as each comment is an entry (To qualify for extra entries you must do step one above). Make sure you include your email address! 7. Become a Facebook Fan of Epiphanies Afield. Comment back here with your Facebook name. Existing fans just leave your Facebook name here. 8. Follow Tanya's blog. Leave a comment here letting us know you are a follower. If you are already a follower, leave a comment anyway, as each comment is an entry. We're still waiting on spring here in the north country. Steadfast, snowbound, and none too patient. 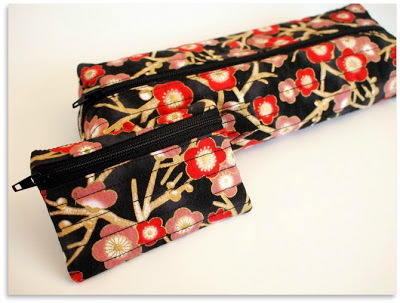 This week's giveaway is from Rita of HandmadeBits4u and is giving away these two pretty zippered pouches. Rita created these zippered pouches from an oriental flower themed fabric. The smaller pouch is perfect for money, coins, credit cards, or business cards. The larger pouch can be used as a cosmetic bag, a pouch for electronic gadgets and cords, a travel pouch for smaller items, or even as a creativity case for scissors, thread, crochet hooks, etc. 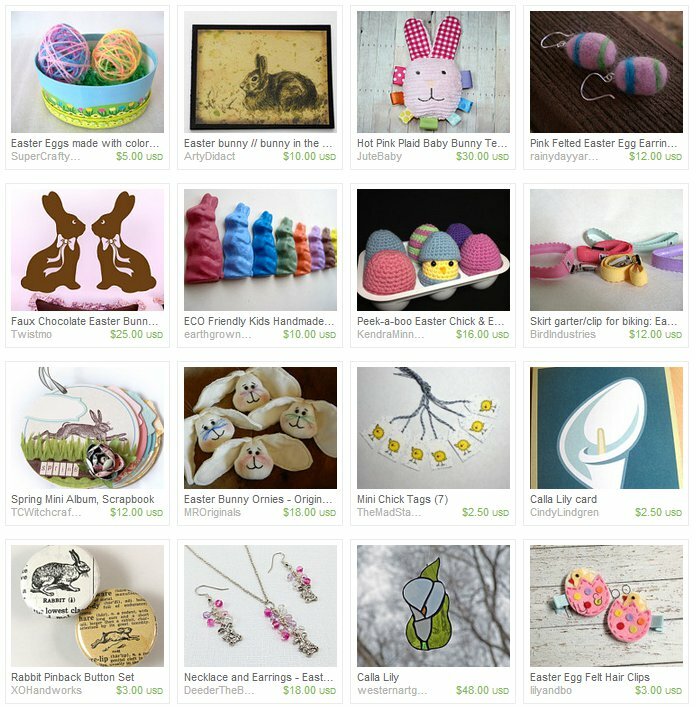 Visit HandmadeBits4u, pick your favorite item and leave a comment on this post about it. (Scroll to bottom of post and click on Comments) Please make sure you include your email address so we have a way to contact the winner! 7. 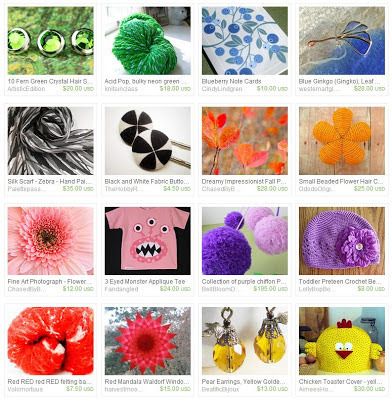 Become a Facebook Fan of HandmadeBits4u. Comment back here with your Facebook name. Existing fans just leave your Facebook name here. 8. Follow HandmadeBits4u on Twitter. Comment back here with your Twitter link. Existing followers just leave your Twitter link here. 9. Follow HandmadeBits4u on Pinterest. Leave a comment here letting us know you are a follower. If you are already a follower, leave a comment anyway, as each comment is an entry. 10. Contest ends Saturday, March, 30th, at 12:00 noon Central. One winner will be chosen by Random.org. What a tease, that Mother Nature at this time of year! Winter in the morning, spring in the afternoon. Well, we know which season is going to win that game: You go, Spring! 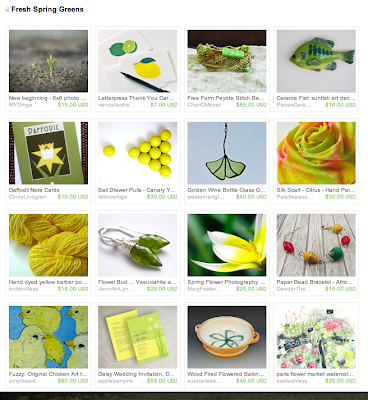 In anticipation and celebration of the vernal equinox, echoing the tender shoots just waiting to emerge as the sun beats down for a few more moments each day on the melting snow, I give you a collection of fresh spring greens and yellows from Minnesota's Etsy team. Click on the image to visit the collection on Etsy. 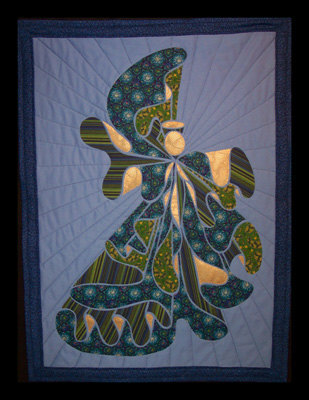 This week's giveaway is from Patti of Grandma Said Sew. She is giving away this wonderful angel quilt pattern. Contest ends Saturday, March 23rd, at 12:00 noon Central. One winner will be chosen by Random.org. March isn't just for the Irish. It's also the month for color therapy. Color therapy is also known as Chromotherapy and is used in alternative therapy. Some folks believe that each color has it's own healing properties. Blue is the color of trust and peace. Orange is the color of social communication and optimism. Pink is unconditional love and nurturing. Purple is the color of the imagination. Red is the color of action and passion. Yellow is the color of the mind and the intellect. Voting ENDS at midnight on MARCH 15th. This week's giveaway is from Margaret of Margaret Mousley Designs and she is giving away this beautiful Scarf/Travel wrap. Scarf and Travel Wrap is the perfect accessory for women on the GO! It is large enough to be a shawl, a scarf, or even a tie around the waist. It is ideal for throwing on over your shoulders in a cool cafe or a light covering from the sun. It can be folded up small enough to fit into a pocket or purse. and it doesn't wrinkle, so you can pull it out and put it on at a moment's notice. It is 72 inches by 30 inches and has a small covered edge hem. Easy to care for; washable and line dry. 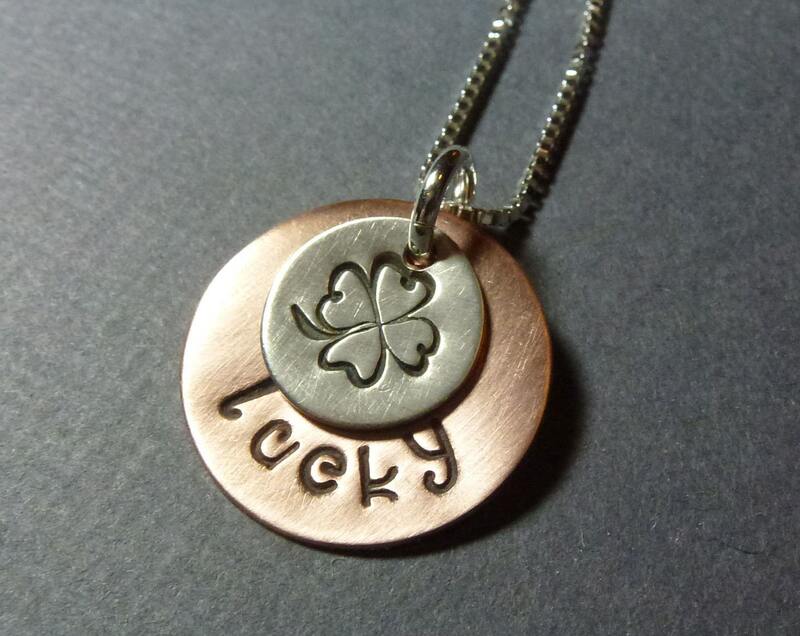 Visit Margaret Mousley Designs, pick your favorite item and leave a comment on this post about it. (Scroll to bottom of post and click on Comments) Please make sure you include your email address so we have a way to contact the winner! 8. 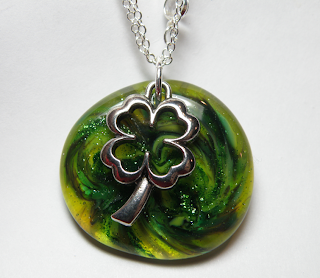 Contest ends Saturday, March, 16th, at 12:00 noon Central. One winner will be chosen by Random.org. Fun Friday Finds ~ Lion or Lamb? Is March coming in like a lion or a lamb? I suppose we'll know at the end of the day!